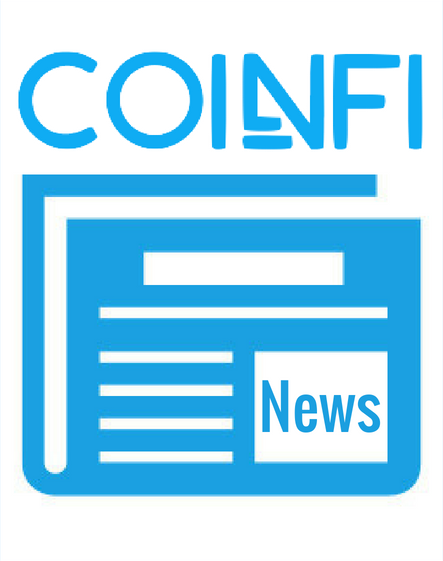 We’ll soon be launching the CoinFi News feature, where you can be the first to know the news that moves the crypto market. While we’re still busy putting everything in place for the launch, we thought we’d give you some insights from the data that underlies our News feed. For this analysis, we’ll look at data from April 30th, 2018 to June 3rd, 2018 (5 weeks). As mentioned above, this is an early look at the data, so we should mention as a disclaimer that there might be minor quirks in the data. We’re working hard to make sure the data is in top shape before our launch though. Without further ado, let’s dive right into the data! This is a pretty familiar crowd, isn’t it? The reason you’ll recognise so many of these names is probably that … they’re the most mentioned coins on the web! So you will have seen them around the web. But perhaps a more interesting reason is that these coins are also among the most traded coins, as we’ll see later, so you’ve probably seen them on various rankings. Most crypto traders will be interested in which coins are getting an increase in mentions on the web. So what are some coins that have had more news written about them these last few weeks? If you follow the crypto space, the increase in mentions of EOS will come as no surprise. Their mainnet launched last week (along with a token swap), which generated a lot of attention, as you might expect. IOTA has also had a busy few weeks, which you can read more about here. 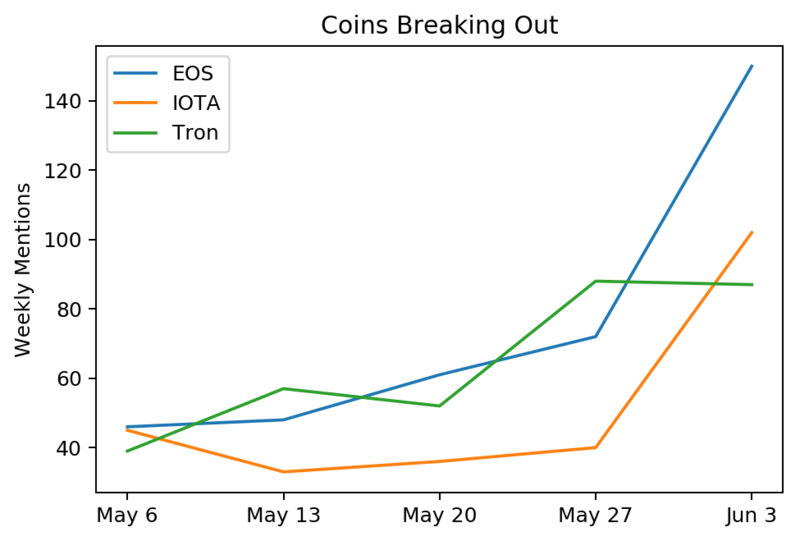 Tron also launched their mainnet – causing a drop in their token price. As a crypto trader, it’s not easy to stay on top of the game with thousands of different news sources. But as the example above shows, we can quantitatively detect when there’s an uplift in mentions, indicating that important news have been shared. This is why we’ve created CoinFi News, which aggregates relevant crypto news and surfaces news for coins that you’re following. To be among the first to test out CoinFi News, you can sign up to our beta here. You might ask: is it all talk, or are people actually trading the coins that are mentioned? For simplicity we’ve sampled the 24-hour trading volume on June 5th, 2018. Note that the axes are logarithmic. If we draw a straight line through the plot above (equivalent to doing a linear regression on the logarithm of the variables in play), we’d get an r^2 (r-squared) score of 54%. You can think of r^2 as a measure of how much better our straight line predicts trade volume from news mentions vs just predicting the mean trade volume for all data points. If there were no correlation between news mentions and traded volume, we’d have an r^2 of around 0%. If the correlation were perfect, it would be 100%. 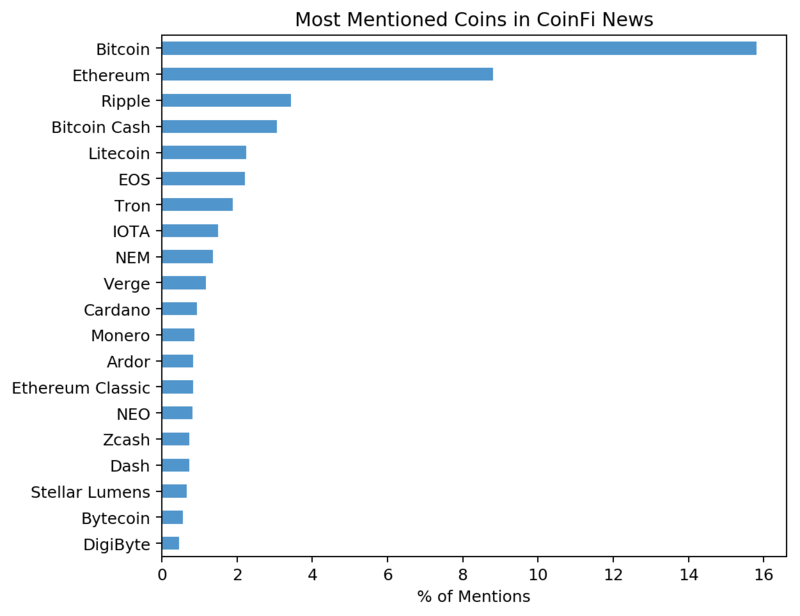 In other words, looking at this data, there seems to be a correlation between coins mentioned in news and their overall traded volume. Intuitively this isn’t really surprising, but it’s a good sign for the quality of the mentions data. 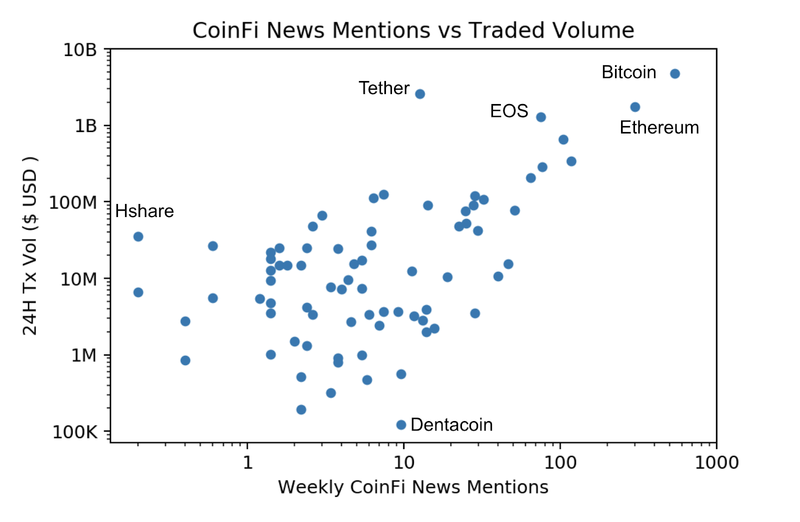 Coin mentions in news correlates fairly well with traded volume – indicating that it’s not all talk! Make sure you sign up to CoinFi so you can be the first to know the news that moves the crypto market.